RVHB has a Litigations Department with vast experience in the solution of matters of different nature and related to different aspects of law because we focus our litigations exercise to our clients business practice. 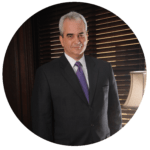 We count with specialized attorneys with extensive practice in labor, penal, civil, mercantile, administrative, arbitration laws and for specialized sectors such as energy and telecommunications. In our staff we have several arbitrators and conciliators, and we have worked as arbitrators and attorneys, respectively, in several proceedings.